Six books by debut authors have been shortlisted for the Shakti Bhatt First Book Prize 2018. Qandeel Baloch by Sanam Maher; and How to Travel Light by Shreevatsa Nevatia. 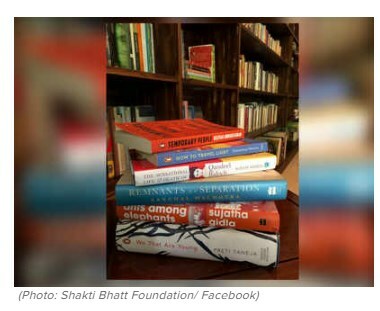 The shortlist was chosen by writers Arshia Sattar and Jeet Thayil, husband of the late Shakti Bhatt in whose memory the prize was set up in 2008 with the motto of recognising South Asian writing. The shortlist will now be read by judges Githa Hariharan, Sampurna Chattarji and Raghu Karnad, who will announce the winner in November.